An exquisite piece of wall art, the Petal Print depicts a close up painting of a peony flower in soft pinks and creams. The picturesque and feminine print showcases the different textures and colours of the petals of the flower. Pale pinks combine with splashes of white, yellow, and a hint of green, which envelope a darker magenta middle. This artistic print will look right at home in any living or bedroom area, bringing a calming and nature inspired feel to a space. 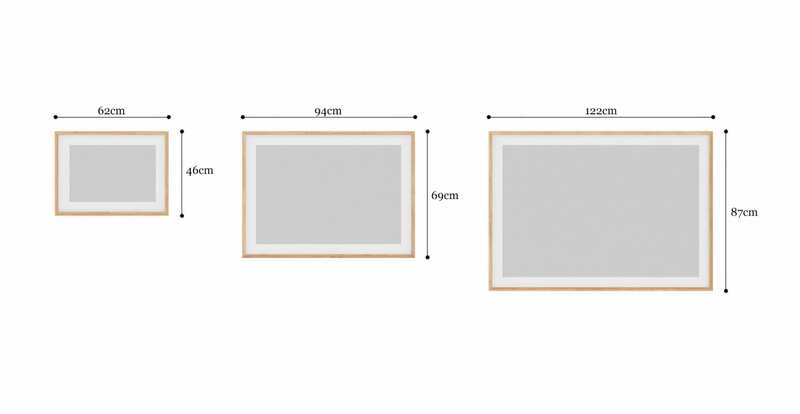 Choose from a range of frames or canvases to match, with a selection of sizes on offer. Presented to perfection, all Brosa prints have been made to gallery standards and with the environment in mind. Wooden frames use sustainable Australian Victorian Ash and premium grade photo paper, displayed under lightweight Plexiglass. Canvases are printed on a poly-cotton canvas with moisture and fungal protection, with a sustainable Australian Hoop Pine back. Metal prints have high gloss aluminium surfaces that are waterproof and scratch resistant, meaning colours won't fade. Brosa loves supporting local Australian business; so all prints have been crafted in Melbourne from high quality, locally sourced materials. This means you can enjoy your wall art sooner, with delivery time within 1-3 weeks. Our artwork selection has been carefully curated from a mix of local and international artists and photographers, to fit a diverse range of interior styles. All wall art comes ready to hang, and is available in a range of sizes and styles. Select from polished wooden frames in three different shades, or a canvas or metal backing. For extra wow factor, create your own personalised wall decor by mixing and matching different prints. Discover our triptych wall art collection for a stunning range of styles.